August has been notable for the most unusual of occurrences …….. rain, in fact enough rain to trigger a number of small spates in the river and fill Castlehill to just about the brim. Fingers crossed a couple of decent rain events may encourage a decent run of Salmon into the river for time for a few years during the actual season! A few Sea Trout have been reported including rumours of an 8lb Sea Trout being caught. Ross Haldane had a pair of cracking Sea Trout (biggest about 3lb). One reassuring sign is there seem to be a lot of Salmon and Trout parr troubling anglers …….. can be frustrating but they are the future! 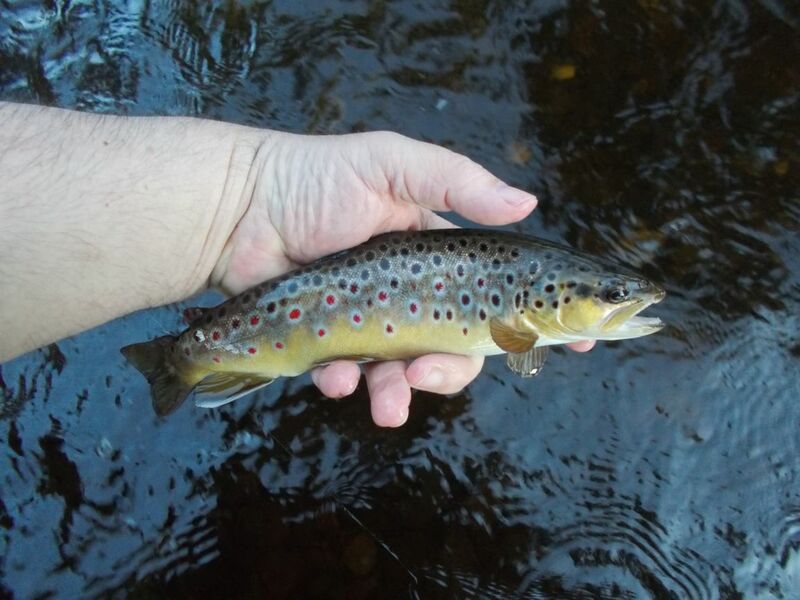 More unusually I spotted and caught this little fella with my scoop net. My big fat paw for scale and a shot in more detail! 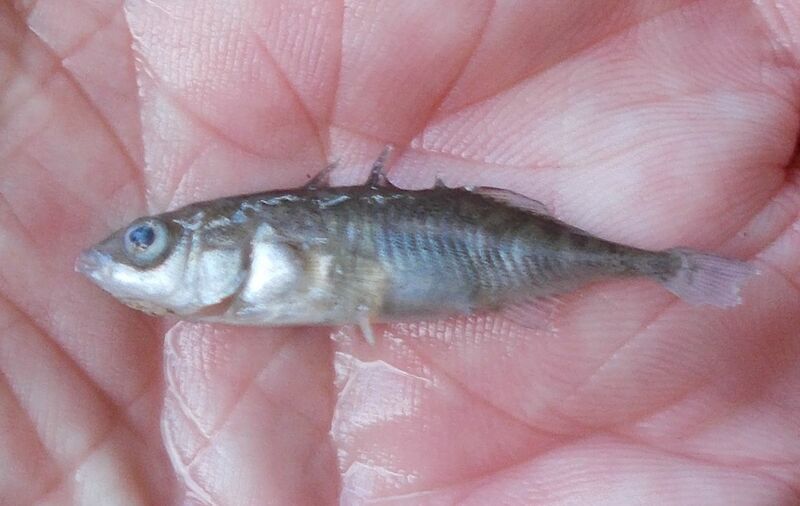 Three-spined Stickleback, almost specimen size and probably destined to be Kingfisher fodder! 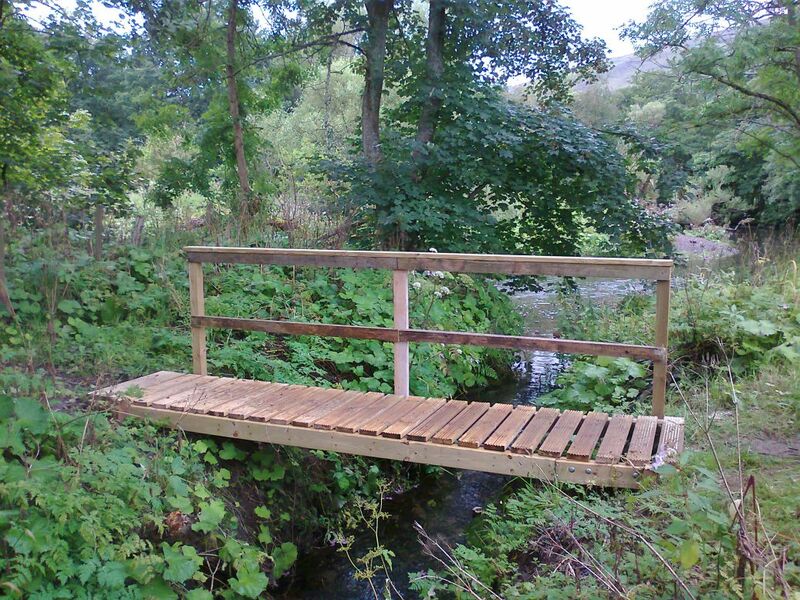 Best of luck to everyone for the last weeks of the Trout season at Glenquey and on the river. Hopefully the river will get a few spates and we will get some decent Salmon catches to match! Thanks for putting up the video link. It’s been a really good season for me and my friends throughout the various beats on the river. I’ve promoted the river through my Upstream Nymph Facebook page and new anglers have been paying a visit. Please note that we have a rule where it’s ok to name the river, but not the exact location that we’re catching well on. This way we can promote the river without good areas getting hammered. I regularly take kick samples and the invertebrate life is abundant. 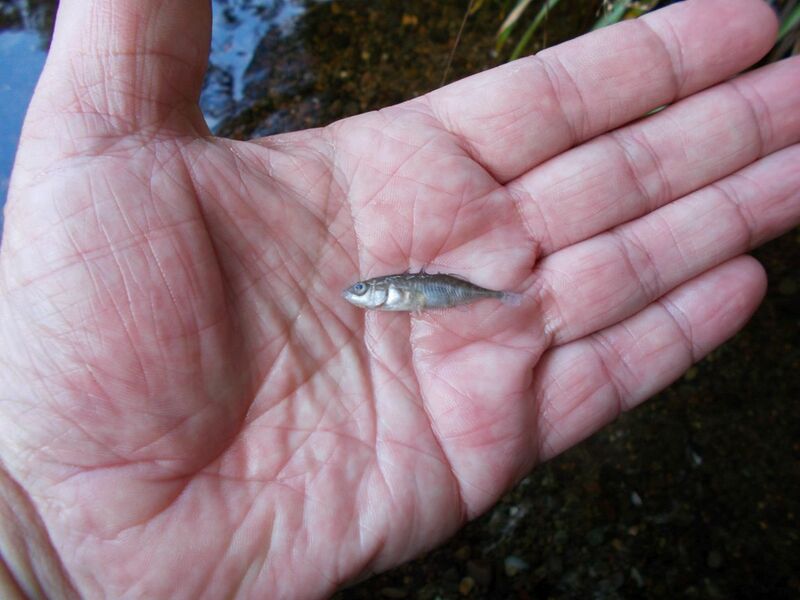 This is no doubt the reason for the rapid growth of our big spotties in the river. The river is in excellent health, with a good head of decent trout and to add, at only £17 for a season ticket it’s a bargain. Finally as my trout season is almost over, I’d like to thank all you hard working committee members for all the work you put into the river every week through your work parties.